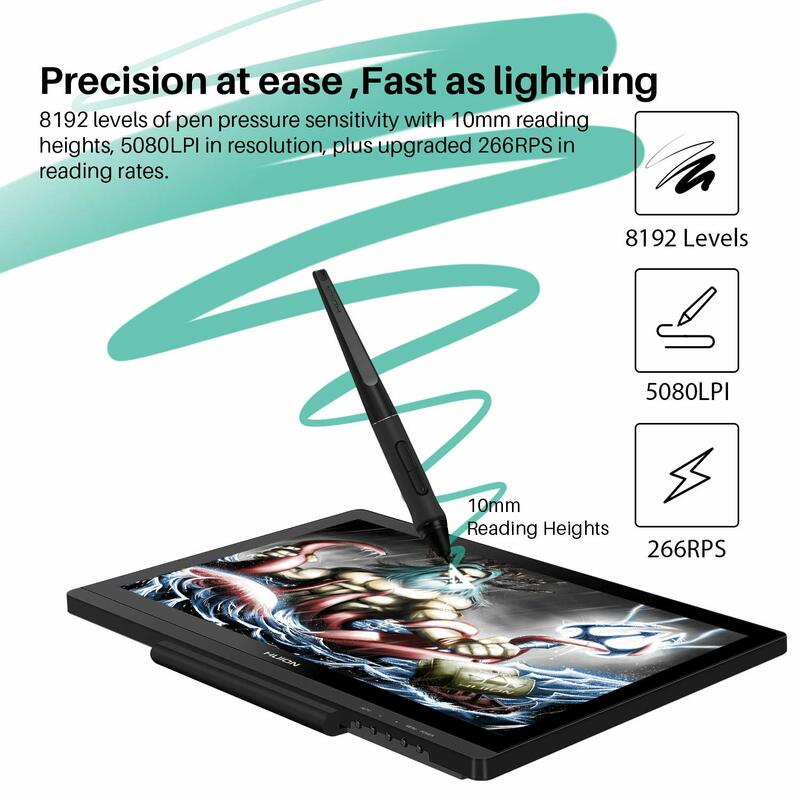 As I am tired of charging my stylus pen, I upgrade my Huion GT-220 v2 pen display to this new version of GT-191 because it has battery free stylus pen! Setting up is straightforward, I like it. Remember to find the right driver. The size of GT 191 is very comfortable to work with. The GT 220 v2 that I used before was too big and too heavy for me. But I find out 15.6” is a little small. So, dear friends, my two cents is the perfect size for a pen display should be around 18 or 19 inches. Quality seems nice. Stylish and sturdy. I like the new stylus pen. It is heavier than the charging pen but really comfortable in your hand. As to the screen, I feel it is not that sharp as I expected to be. Might be because the anti glare film or might be I didn’t set up the screen properly. I’m not sure at this point. Please take some time to adjust the screen to where you want it to be. It will get warmer after sometime. Like I said, the drawing monitor/pen display doesn’t need to be that huge. As long as it doesn’t make you feel “too small to work with” then it is good size. Battery free pen really save me a lot time as I can work whenever I want.